Waiting on a next-generation virtual reality headset? 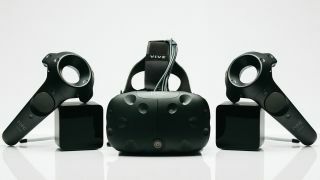 According to a senior HTC executive, you might not have to wait as long as you may first have thought, given how long the first wave of VR hardware took to get to market. Speaking to RoadtoVR.com HTC’s China Regional President of Vive, Alvin Wang Graylin, suggested that the lifespan of VR hardware will sit somewhere between our expectations of smartphones and console cycles. In other words, that's around every two to three years between HTC Vive, PlayStation VR and Oculus Rift releases, should each device prove continuously successful. “Instead of looking at just the phone market – which is one type of very rapid consumer product – if you look at the other segment, which is the consoles, they’re about five or six-year type of cycles,” said Graylin. In order to tide us over between generations, we can expect to see increased use of accessories to enhance and augment existing virtual reality experiences. "The thing that you’re seeing is that we’ve created a good foundational platform for people to build things on," added Graylin. "Changing it too quickly will actually make it very difficult for developers, make it difficult for accessory makers and for other types of systems that rely on it." HTC has already started work down this path, using the recent CES 2017 showcase to reveal its HTC Vive Tracker, an add-on that can effectively turn any item into a VR-trackable object.